Species vary but most of them come from Texas. 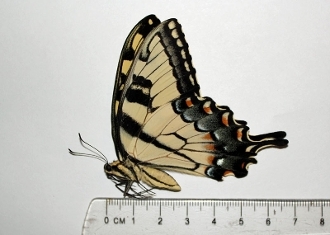 All specimens sold on this page are black and yellow varieties ("tigers" rather than white or dark form swallowtails), shipped from our freezer. Please note that photo approximates species, but does not necessarily "match" species.